Visitation - Tuesday April 16th, 2-4:30 & 7-9:00 p.m. at our Bayport location, 683 Montauk Hwy. Bayport, NY. Funeral Mass - 9:45 a.m. Wednesday April 17th at Our Lady of the Snow RC Church, Blue Point, NY. Interment - St. Lawrence Cemetery, Sayville, NY. Beloved wife of Carmine. Loving mother of the late Carmine Jr., Julia (Kevin) Mischo and Maria Ritter. Adored grandmother of Robert, Luke and Kevin Mischo and Sophia Ritter. 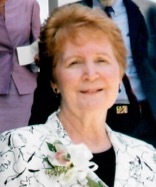 Fond sister of Elizabeth Peters, Joseph Moores, Lorraine Manning and Anne Klein.